Rococo Systems offer repairs and replacements for your Linn sound system. As Linn Hi-Fi specialists, we can offer a number of services on all Linn products, new or old. Whether you are looking for a new Linn sound system to be installed in your home for 2017, or would like to use our repair and maintenance service, we can help you here at Rococo Systems. We have a range of Linn sound system products and services available. Take a look at some more information about the Linn systems from Rococo Systems below. 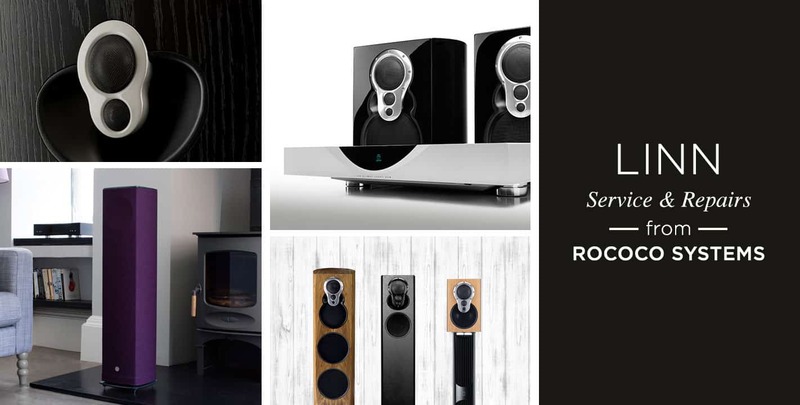 Rococo Systems are the UK leading supplier of high-quality Linn sound systems and provide the best custom products for home installation. Linn sound systems are the leading brand in home entertainment, and Rococo Systems have years of experience in the industry. Linn sound systems include innovative technology to produce the best quality sound throughout your home, however wear and tear can affect sound systems with use over the years. Rococo Systems offer a flawless maintenance and repairs service to ensure that your Linn sound system works as well as it should for the whole of its lifetime in your home. All Linn products are repaired by specialists with new Linn parts, ensuring each product is repaired to the highest standard. We can service and upgrade a range of Linn products, including the LP12 Linn Turntables. Our team also provide services on Linn products to ensure they continue to work well with continued use. We stock a range of spare parts at all times for repairs, and we can even send a Linn specialist to you for a repair or service if you are unable to get your Linn part to us. If you are interested in installing a Linn system in your home or have any queries regarding maintenance and repair, contact Rococo Systems online. We will be happy to help when choosing your product for installation.